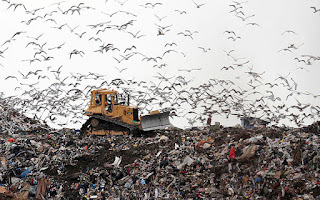 The Telegraph 16 January 2016: The amount of waste being being sent to landfill or burned instead of being recycled has almost doubled in the past three years, figures show. The contents of up to one in five recycling bins were turned away by some councils last year because they were "contaminated" with the wrong items, a Freedom of Information request for the Daily Mail revealed. Last year 338,000 tonnes of recycling was buried or incinerated, the paper said, up 84 per cent from 2012...read on.